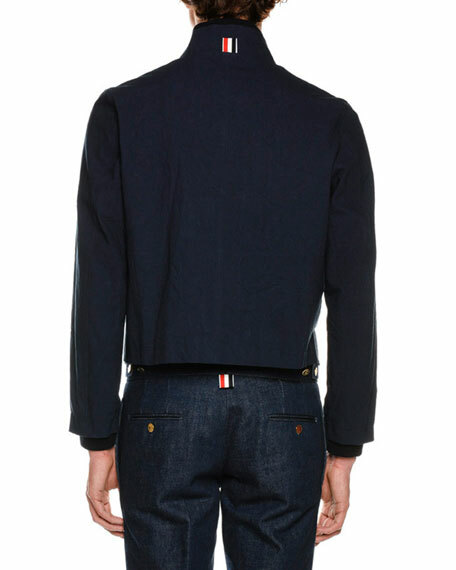 Thom Browne reversible blouson jacket. Champion Europe puffer jacket with removable hood. Padded for extra warmth. Funnel collar with popper fastenings; zip front. Side zip pockets. Straight hem. Nylon body and fill. Imported. 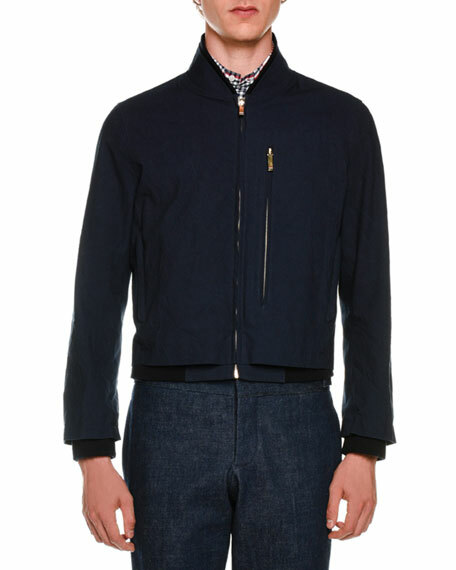 Model's measurements: Height 6'1"/185cm, waist 32"/81cm, typically wears size M.
Ermenegildo Zegna reversible jacket. Hooded neckline; two-way zip front. Long sleeves; ribbed cuffs. Side pockets. Regular fit. Cashmere; inside, polyester. 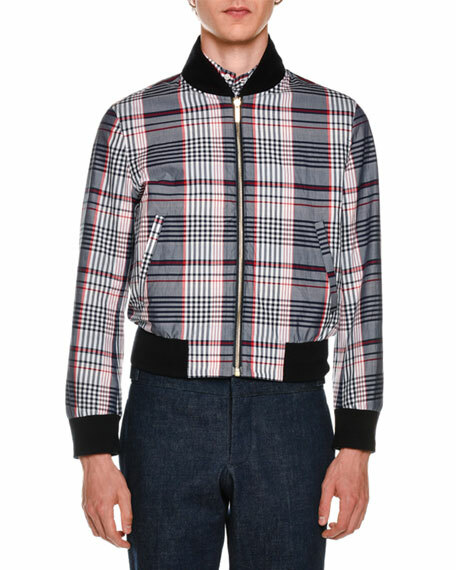 Ermenegildo Zegna reversible jacket. Hooded neckline; two-way zip front. Long sleeves; ribbed cuffs. Side pockets. Regular fit. Cashmere; inside, polyester. Made in Romania. Model's measurements: Height, 6'1"/185cm, waist 30"/76cm, suit 38R, shirt 14.5x34, inseam 34"/86cm. 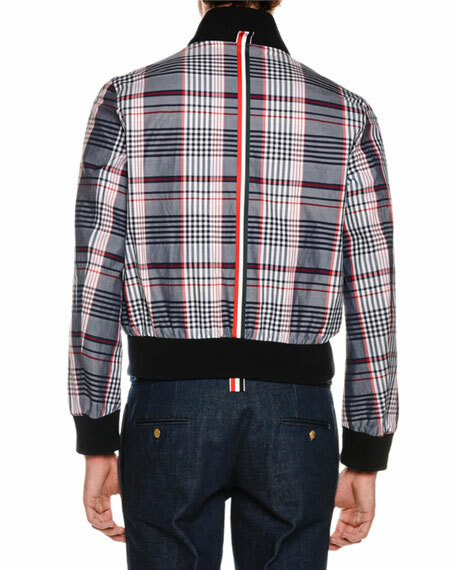 Moncler "Beaufort" jacket with leather trim. Stand collar; snap-placket hidden zip front. Rounded barrel cuffs. Chest flap pockets. Side slip pockets. Shirttail hem. Polyester; virgin wool trim. Made in Romania. Model's measurements: Height 6'1"/185cm, waist 32"/81cm, typically wears size M.